Talk presented by Sonny Melencio (right) at the opening session of the National Conference Against Dictatorship (NCAD), Benitez Hall, UP Diliman, July 20, 2017. July 25, 2017 — Links International Journal of Socialist Renewal reposted from Ang Masa Para sa Sosyalismo - Online — This is an initiative appropriate to the times. 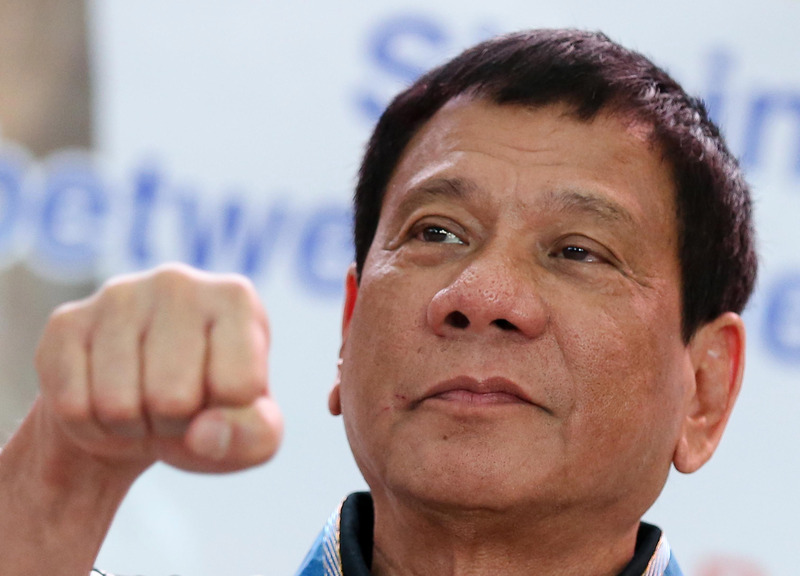 President Duterte has just confirmed that he’s raring to establish a dictatorship. 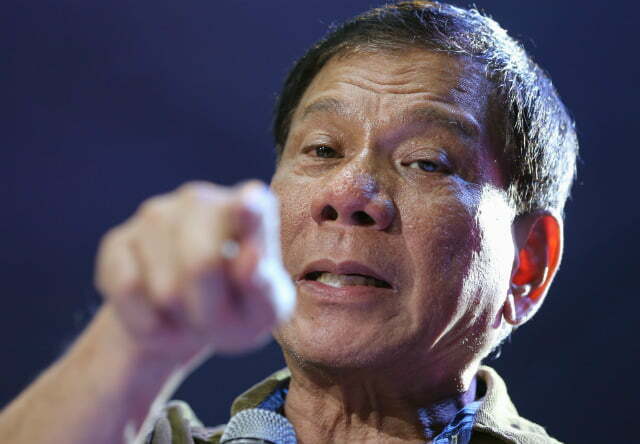 He wants to extend martial law in Mindanao until December this year. And his chuwariwariwap boys in Congress had agreed to this. And now even Vice Leni said don’t be suspicious of his intentions, because he’s out to do good. Seems like he’s out to no good for me. ¿Qué conmemoraremos de la revolución de EDSA 1? 25 de Febrero, 2016 -- Links International Journal of Socialist Renewal traducido por Enrique García para Sin Permiso -- En una ocasión tuve la oportunidad de ser invitado por el Rembrandt Kapihan junto con un candidato a senador del KBL (Movimiento de la Nueva Sociedad) en las elecciones de mayo de 2016. El malhablado candidato del KBL se lanzó a fustigar a una audiencia imaginaria que había convertido a Ninoy Aquino (el asesinado padre del actual presidente Benigno Aquino, también conocido como PNoy) en un héroe de la primera "revolución EDSA". Esta extraña reacción al parecer quería ser una respuesta a mi afirmación de que íbamos a celebrar EDSA 1 el 25 de febrero con las concentraciones de protesta habituales. El candidato del KBL arrojó una andanada de maldiciones contra el levantamiento popular que derrocó al dictador Ferdinand Marcos. Después de que Marcos abandonase el país en 1986, todo había ido cuesta abajo para Las Filipinas y su pueblo, según el candidato del KBL. Sonny Melencio (pictured) will be one of the keynote speakers at Socialism for the 21st century: Moving beyond capitalism, learning from global struggles being held in Sydney on May 13-15. 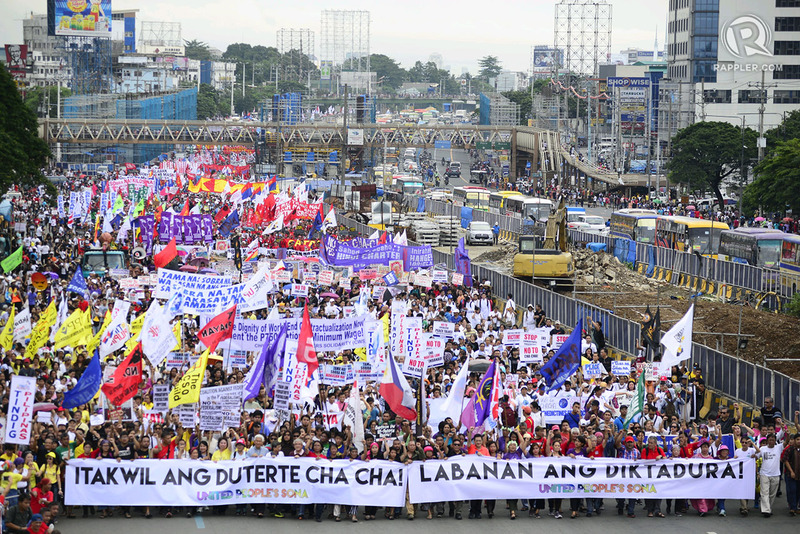 What is there to celebrate on the 30th anniversary of the Edsa Revolution? February 25, 2016 -- Links International Journal of Socialist Renewal -- I once had a chance to be a guest at the Rembrandt Kapihan together with a KBL (New Society Movement) senatorial candidate for the May 2016 election. The foul-mouthed KBL candidate went on a cursing spree to lambast an imaginary audience that had made Ninoy Aquino (the murdered father of current President Benigno Aquino, also known as PNoy) a hero of the first "Edsa Revolution". This seemed to be a response to my statement that we were going to celebrate Edsa 1 on February 25 with the usual protest rallies. The KBL candidate spewed a barrage of crisp curses against the people’s uprising that brought down the dictator Ferdinand Marcos. After Marcos fled the country in 1986, everything went downhill for the country and the people, according to the KBL candidate.